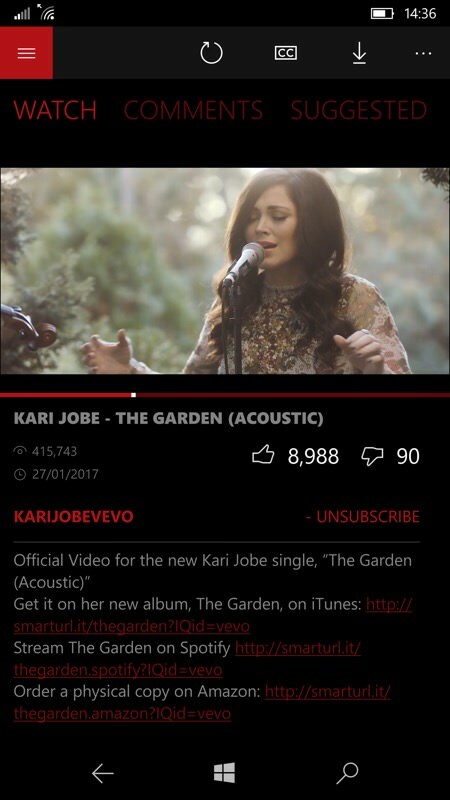 Perfect Tube is one of a number of YouTube clients for Windows 10 Mobile, but has always impressed by being a full UWP (i.e. Continuum too, plus works on laptops etc.) and by having a clean and obvious UI. 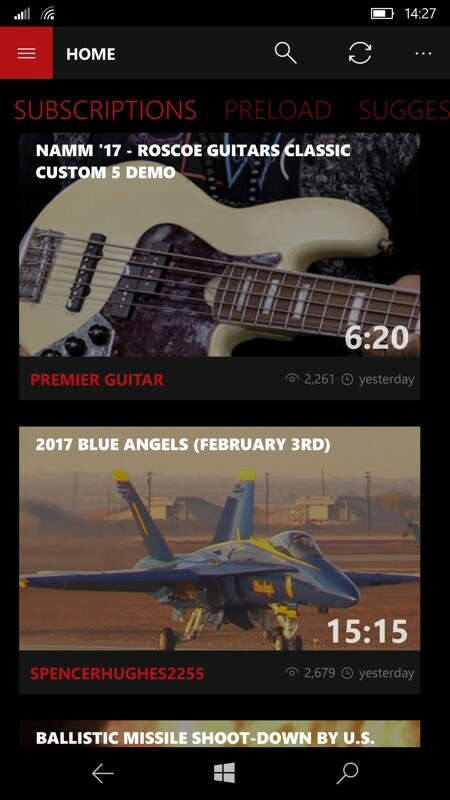 And it just had itself a big update, the first for many months, with the headline feature being auto-switch to landscape playback when you rotate the phone. Admittedly this is still a little glitchy (try it and you'll see what I mean), but at least the most asked-for feature is now in place. 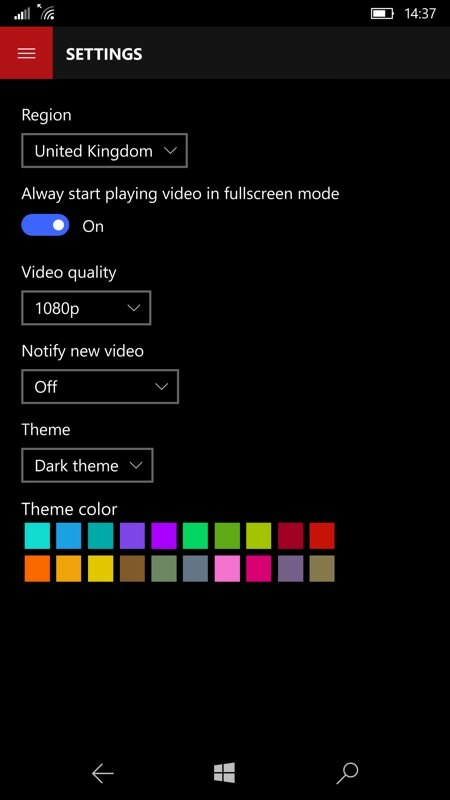 option: fullscreen when turn the device to landscape mode. Oddly, some of these items were already in place, notably the suggestions and subscriptions items, but the others are valid. The Vevo item was due to this was broken after VEVO DRM changes. ... as shown here. YouTube's auto-transcription isn't quite 100%, but it's better than nothing if you don't speak the language of the presenter/video-blogger. 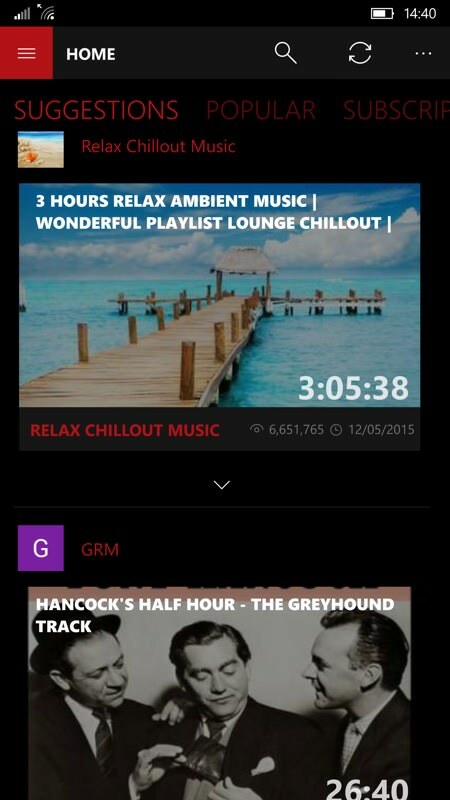 Support for landscape playback has made a big step forward in Perfect Tube. 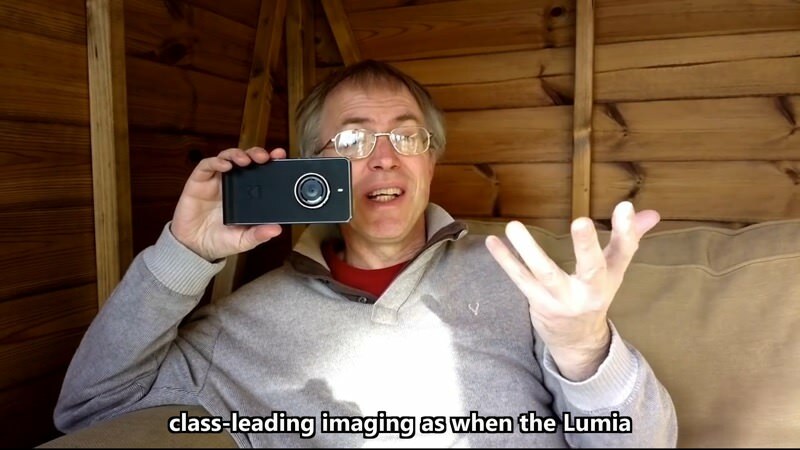 Firstly, the 'start in landscape' option now works properly - second you can switch automatically between portrait and landscape modes by just rotating the phone. Perfect Tube does seem over-sensitive to the accelerometer right now, so the slightest move from strict landscape switches the view back, but no doubt this can be tweaked in an update. You can download Perfect Tube in the Store here. 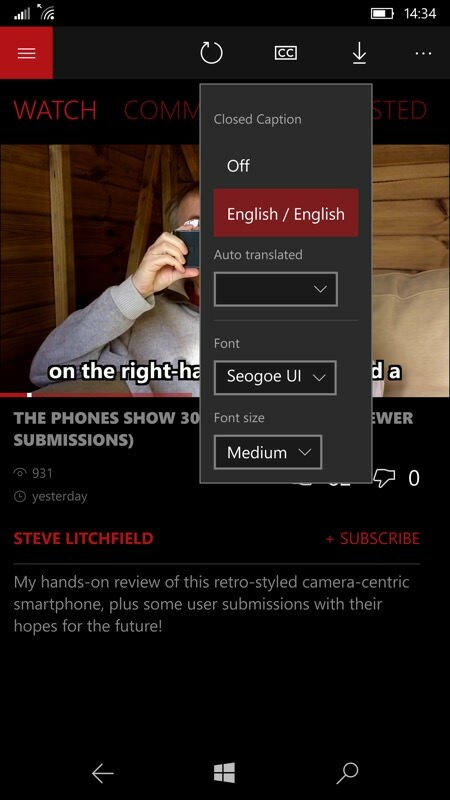 Comments welcome, this is still my YouTube client of choice on Windows 10 Mobile.